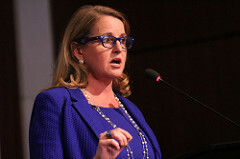 Last month, I joined a panel discussion of cybersecurity leaders at an event hosted by the Center for Strategic and International Studies (CSIS). 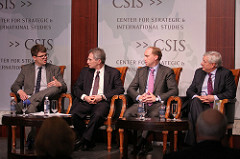 The panel, which followed an opening plenary address from Federal CIO Suzette Kent, assessed effective approaches to cybersecurity protection for endpoint devices used by Federal agencies; the panel discussion was moderated by William Carter at CSIS, and also included Ryan Gillis (Vice President, Cybersecurity Strategy and Global Policy, Palo Alto Networks) and Todd Gustafson, President & Head of US Public Sector, HP Federal. 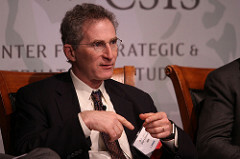 The discussion, which is highlighted in the video to the right, keyed off a recent CSIS report Extending Federal Cybersecurity to the Endpoint (https://www.csis.org/analysis/extending-federal-cybersecurity-endpoint). 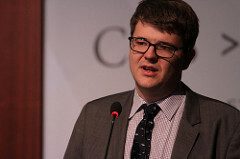 As CSIS noted in framing the issue: "While cybersecurity awareness in the federal government has improved, along with efforts to provide more secure architectures and managed security services for federal networks, these efforts are focused on systemic risks and vulnerabilities in core infrastructures. Few extend to the millions of endpoint devices connected to these systems." how to educate and involve users in protecting the integrity and confidentiality of data that they access through endpoint devices.